Mariuca's Perfume Gallery: Win A Kitty Tote Bag! 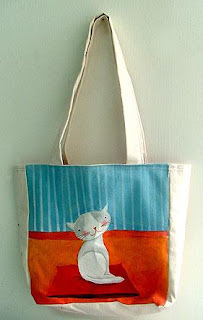 Win A Kitty Tote Bag! My friend, Emila, is currently hosting her very first give-away and she’s offering one of her beautiful handmade tote bags to one very lucky winner! This Kitty Tote Bag has the personal creative touch of Emila, who is well-known for her handmade arts and crafts. It is made out of canvas and fabric paint while the inside is lined with red cotton. You can see more of her beautiful work over at Emila's Illustrated Blog. If you fancy winning yourself this adorable Kitty Tote Bag, all you have to do is comment on her post. Find out more on how to win this fabulous bag here. Hurry! This great give-away session will end at 5pm on June 30th (Malaysia time) so check out Emila’s Illustrated Blog NOW and give your comments! Yes, it’s that easy! Adrian, cool! I'm in the running for it too, don't forget to leave your comment on Emila's post! Hey Mariuca...lots more cool stuff in your blog (in fact you've 2 now) since I last visited. Not sure if you if know about Bond No. 9. 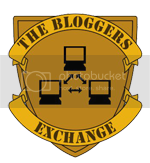 Check it out if you've yet to cover it in your blog. Great perfume. i miss the bag dearly! !